Bruce D. Greenberg is a highly experienced litigator who draws on his more than 35 years of practice to provide sophisticated representation to clients in appellate and complex commercial litigation. Bruce has successfully handled dozens of cases in federal and state courts around the country, and has briefed and argued numerous appeals before the Supreme Court of New Jersey, New Jersey’s Appellate Division, and the U.S. Court of Appeals for the Third Circuit, as well as one case in the Colorado Court of Appeals. He also represents applicants before the Supreme Court of New Jersey Committee on Character (on which he previously served for fifteen years). During lower-court proceedings, Bruce focuses on winning the matter at hand while also laying the groundwork for a strong position on appeal. He is regularly asked to take over on appeal cases that were handled in lower courts by other counsel. A “lawyers’ lawyer,” Bruce has been retained by other attorneys to prosecute appeals in their own personal partnership, matrimonial, counsel fee, and legal malpractice matters. Some of Bruce’s appellate work has led to multimillion-dollar victories for his clients. More than 40 of his cases have been officially reported, including significant decisions on mass torts, class actions, restrictive employment covenants, land use, real estate brokerage, and other topics. Additional subjects of his successful appeals have included medical malpractice, rent control, and other complex commercial litigation. Bruce has extensive experience handling complex products liability, antitrust, securities fraud, and consumer fraud class actions across the country, at the trial and appellate levels. He also represents businesses, large and small, and individual clients in commercial litigation and appeals, and represents individual applicants to the New Jersey Bar before the Supreme Court of New Jersey Committee on Character. As lead and co-lead counsel in numerous class action cases, Bruce has helped his clients win significant victories. These include Varacallo v. Massachusetts Mutual Life Ins. Co., 226 F.R.D. 207 (D.N.J. 2005), an insurance sales practices case that resulted in a nationwide class settlement worth over $750 million, In re STEC, Inc. Securities Litig., No. cv-09-1304 (JVS) (C.D. Cal. )., which produced a settlement of $35.75 million for a nationwide class; Schwartz v. Avis Rent A Car System, LLC, No. 2:11-CV-4052-JLL-JAD (D.N.J. ), a nationwide consumer fraud and breach of contract class settlement worth up to $13 million, Desio v. Insinkerator, No. 2:15-CV-00346-SMJ (E.D. Wash.), a products case that settled for $3.8 million for a nationwide class, and In re Samsung DLP Television Class Action Litig., No. 07-2141(GEB) (D.N.J. ), a case involving defective televisions that produced in a highly valuable nationwide settlement. In Pedersen v. Ford Motor Co., No. GIC 821797(Cal. Super. Ct.), Bruce negotiated a four-state consumer fraud settlement that afforded full benefit of the bargain relief. This favorable settlement was the direct result of his efforts as co-lead counsel in constituent New Jersey and Pennsylvania cases. Bruce was also instrumental in In re Motorola Securities Litig., Civ. No. 03-C-287 (N.D. Ill.), where Lite DePalma Greenberg, as co-lead counsel, achieved a $193 million settlement for a nationwide class just three business days before trial was to begin. Some of Bruce’s current class action cases in which he serves as a co-lead counsel include Cole v. NIBCO, Inc., No. 13-CV-7871-FLW-TJB (D.N.J. ), a case involving defective plumbing piping, tubing and fixtures, where a $43.5 million nationwide class settlement has been preliminarily approved, and DeMarco v. AvalonBay Communities, Inc., No. 15-CV-628-JLL-JAD (D.N.J. ), a consolidation of three cases that allege that the defendant’s negligence caused a massive fire that destroyed an entire building at the residential complex known as Avalon at Edgewater, located in Edgewater, New Jersey. In that case, Bruce achieved a settlement that enabled all tenants whose homes were destroyed to claim and recover 100% of their losses from the tragic fire. Bruce has also served as an executive committee member or as liaison counsel in many class action cases. For example, he acted as liaison counsel for the commercial cases in In re Insurance Brokerage Antitrust Litig., MDL No. 1663, No. 04-5184-FSH (D.N.J. ), which resulted in settlements totaling over $200 million for a nationwide class. Bruce was liaison counsel in In re N.J. Tax Sales Certificates Antitrust Litig., No. 3:12-CV-1893-MAS-TJB (D.N.J. ), which achieved settlements, upheld by the Third Circuit Court of Appeals, worth over $10 million for a class of New Jersey property owners. Bruce has had frequent successes as an executive committee member in class action cases. Such cases include Henderson v. Volvo Cars of North America, LLC, No. 2:09-CV-4146-CCC-JAD (D.N.J. ), a case involving catastrophic transmission failures that conferred millions of dollars in settlement benefits on 90,000 class members, In re Shop-Vac Marketing and Sales Practices Litig., No. 4:12-MD-2380 (M.D. Pa.), a case that involved misrepresentation of the peak horsepower of wet/dry vacuums, where he helped achieve a nationwide settlement worth over $100 million, and In re Volkswagen Timing Chain Product Liability Litig., No. 16-CV-2765-JLL-JAD (D.N.J. ), which resulted in a settlement for a nationwide class whose value exceeds $40 million. Bruce was appointed liaison counsel and a member of the Direct Purchaser Plaintiffs’ steering committee in In re Liquid Aluminum Sulfate Antitrust Litigation, No. 16-md-2687(JLL)(JAD) (D.N.J. ), a multidistrict litigation that alleges price-fixing, bid-rigging, and market allocation by sellers of aluminum sulfate. That case is ongoing, and has so far produced over $65 million in settlements for the Direct Purchaser class. Bruce has also been very successful in New Jersey state court class actions. Some of his cases there include Summer v. Toshiba America Consumer Products, Inc. (Superior Ct., Bergen County) (settlement worth over $100 million for nationwide class); Delaney v. Enterprise Rent-A-Car Co. (Superior Ct., Ocean County) (settlement for New Jersey class worth over $7 million); Barrood v. IBM (Superior Ct., Mercer County) (full benefit of the bargain settlement for nationwide class); and DeLima v. Exxon Corp. (Superior Ct., Hudson County) ($4.5 million settlement for New Jersey class). Bruce writes frequently on a range of legal topics, with a focus on appellate issues. He is the creator and author, since 2010, of New Jersey’s foremost appellate blog, New Jersey Appellate Law (http://appellatelaw-nj.com), which focuses on New Jersey appeals, appellate law and appellate practice, with special attention to decisions of the Supreme Court of New Jersey, the Appellate Division, and the Third Circuit Court of Appeals. Bruce is the author of the chapter entitled "Supreme Court Review" in New Jersey Appellate Practice Handbook (New Jersey ICLE 10th ed. 2015, and prior editions dating back to the 5th edition), and co-author, with Allyn Z. Lite and, currently, Susana Cruz Hodge, of the chapter entitled "Class Action Litigation" in New Jersey Federal Civil Procedure (NJLJ Books 2019, and prior editions dating back to 1999). He has written a number of law review articles, on topics including procedural fairness, class actions, and the right to a civil jury trial. Several of Bruce’s articles have been cited with approval by the Supreme Court of New Jersey, the Appellate Division, and courts in other jurisdictions. Bruce is as comfortable at the podium as he is before the keyboard. He has lectured on class actions for New Jersey and Pennsylvania Continuing Legal Education, Strafford Publications, the American Conference Institute, the New Jersey State Bar Association, and the New Jersey Association for Justice. In 2016, Bruce delivered the 27th Annual Alice and Stephen Evangelides Memorial Lecture at Rutgers University’s Eagleton Institute of Politics, on the subject of “Class Action Litigation: Who Benefits?” He has also been a presenter at the American Bar Association’s Class Actions Institute. Bruce has served as an expert witness on attorneys' fees in class actions and on the effect of class action waivers on the ability of clients to attract counsel. He testified as an expert witness at a Chancery Division trial in a commercial lawsuit, on the subject of the reasonableness of attorneys’ fees, a case that ended favorably to Bruce’s side. He also has spoken on civil trial preparation, mass torts, appellate practice, and other subjects. Bruce is listed in Best Lawyers in America for his work in appellate practice. He has been named to the "New Jersey Super Lawyers" list in appellate practice by New Jersey Monthly magazine every year since 2005, and he earned a “Top 100” ranking among all “New Jersey Super Lawyers” in 2014. Bruce was also listed in ALM’s 2012 “New Jersey’s Top Rated Lawyers” list, in the category of Commercial Litigation, and holds an "AV" rating from Martindale-Hubbell. Bruce is active in numerous legal and professional associations and has held a range of leadership positions in these organizations. From 2008 through 2016, he served as co-chair of the New Jersey State Bar Association’s (NJSBA) Class Actions Committee. He was chair of the NJSBA’s Appellate Practice Committee from 2004 through 2006. He is also a member of the NJSBA’s Land Use Law Section. The Supreme Court of New Jersey appointed Bruce to serve on its Committee on Character in 1991 and reappointed him to that position for additional terms through 2006, when Bruce reached the term limit for service on that Committee. He was one of the founding members of the New Jersey Law Firm Group, a consortium of law firms committed to advancing the hiring of minority lawyers, for which he served as chair from 1990 to 1994. Bruce has also been a mediator for the Essex County Chancery Division Mediation Program and an arbitrator/mediator for the county’s Arbitration/Settlement Program. Prior to joining Lite DePalma Greenberg, Bruce was a partner at one of New Jersey's largest law firms. After graduating from the Columbia University School of Law, he clerked for Justice Daniel J. O'Hern of the Supreme Court of New Jersey from 1982 to 1983. While in law school, Bruce was a Harlan Fiske Stone Scholar and served as Writing and Research Editor of the Columbia Journal of Law & Social Problems. In conjunction with the Southern Poverty Law Center, Bruce served as co-counsel for the plaintiffs in Ferguson v. JONAH, a consumer fraud case against an organization that purported to offer gay conversion therapy, a scientifically discredited practice. After a month-long jury trial, the defendants were required to pay damages, and they later agreed to shut down their operations. Bruce has also represented the National Federation of the Blind in cases in New Jersey, including, most recently, against a community college that had not complied with federal laws that require accommodation of the blind. In re Accutane Litigation, 235 N.J. 229 (2018) (finding that mass tort plaintiffs had not adduced sufficient proofs to overcome presumption of labeling adequacy contained in New Jersey Product Liability Act). Bosland v. Warnock Dodge Inc., 197 N.J.543 (2009) (Consumer Fraud Act does not require victimized consumer to give pre-suit notice to seller). Mason v. City of Hoboken, 196 N.J. 51 (2008) (catalyst doctrine for attorneys' fees reaffirmed in Open Public Records Act case). New Jersey v. Sprint Corp., 531 F. Supp. 2d 1273 (D. Kan 2008) (sustaining complaint for securities fraud under new Tellabs standard). In re Motorola Securities Litigation, 2007 WL 487738 (N.D. Ill. March 29, 2007) (denying in substantial part defendants’ motions for summary judgment in certified nationwide securities fraud class action; case settled on eve of trial for $190 million). Zeno v. Ford Motor Co., Inc., 480 F. Supp. 2d 825 (W.D. Pa. 2007) (denying defendant’s motion for summary judgment in certified class action for breach of contract; case later settled for full benefit of the bargain recovery). Muise v. GPU, Inc., 391 N.J. Super. 90 (App. Div. 2007) (reversing Law Division’s refusal to obey appellate mandate to certify class). Varacallo v. Massachusetts Mutual Life Ins. Co., 226 F.R.D. 207 (D.N.J. 2005) (approving nationwide class action settlement of insurance sales practices case worth over $768 million to class members, and noting that this was third largest insurance sales practices settlement ever). Bruce D. Greenberg was quoted in a New Jersey Law Journal article regarding the case of Skuse v. Pfizer. There, the Appellate Division ruled that, in the circumstances of that case, an employer’s arbitration clause was ineffective when it was sent to the employee by e-mail. Bruce D. Greenberg was selected by his peers for inclusion in The Best Lawyers in America© 2019 in the field of Appellate Law. Bruce D. Greenberg was a Co-Moderator at New Jersey ICLE's, “Significant Developments in Class Actions." On February 6, 2018, the United States District Court for the Eastern District of Washington granted final approval of a nationwide class action settlement worth $3.8 million In Desio v. Insinkerator, No. 2:15-cv-00346- SMU. Bruce D. Greenberg of LDG was co-lead counsel for the Class. The case involved allegedly defective water filters used in Insinkerator F-201 hot water dispensing systems. Bruce D. Greenberg was quoted in an article in the New Jersey Law Journal regarding the effect of two recent Supreme Court of New Jersey decisions regarding the Truth in Consumer Contract, Warranty, and Notice Act (“TCCWNA”). To read this article, click here. Bruce D. Greenberg was quoted in an article in Law360 regarding the Third Circuit’s increasing unwillingness to apply the standing doctrine of Spokeo, Inc. v. Robins to bar plaintiffs from proceeding. To read this article, click here. Today, the United States District Court for the District of New Jersey granted the motion of the plaintiffs and the class of former Russell Building tenants whom they represent and preliminary approved a proposed classwide settlement. By order of the Court, a Court-approved notice of the settlement, with details about its terms and former Russell tenants’ options regarding the settlement, will go out by mail or e-mail to all former Russell Building tenants for whom AvalonBay has addresses within 20 days. The Court will conduct a hearing on July 11, 2017 at 10:30 A.M. to decide whether to grant final approval to the settlement and allow it to go into effect. click here. Bruce D. Greenberg was a Moderator at New Jersey ICLE's, “Prevailing Trends in Class Action Litigation." Bruce D. Greenberg was appointed as a member of the Executive Committee in In re Volkswagen Timing Chain Product Liability Litigation, No. 16-2765(JLL)(JAD)(D.N.J.). The case involves allegations that Volkswagen and Audi vehicles have defective timing chains that can cause their engines to fail suddenly and unexpectedly, resulting in thousands of dollars in damages. Bruce D. Greenberg was quoted in an article on Law360, "NJ Cases To Watch In The 2nd Half of 2015". To read this article, click here. Bruce D. Greenberg was quoted in a Law360.com article titled “The Biggest NJ Court Decisions of 2015: Midyear Report.” To read this article, click here. Bruce D. Greenberg was mentioned in an article in Law360 as a member of the successful trial team in Ferguson v. JONAH. For a more complete description of the trial result, click here. Bruce D. Greenberg was quoted in an article on Law360.com about the Appellate Division’s recent decision in Daniels v. Hollister, which rejected the Third Circuit’s view that, in order to certify a class of consumers, each class member must be individually ascertainable at the time of class certification. Bruce D. Greenberg was quoted in an article in the Star-Ledger regarding the class action complaint that Lite DePalma Greenberg filed on behalf of persons affected by the fire at the Avalon at Edgewater residential complex in Edgewater, New Jersey, which destroyed class members’ homes and property. Click here to view this article. Click here to read the Complaint. Bruce D. Greenberg was quoted in an article on Law360.com, "New Jersey Cases To Watch in 2015" (January 2, 2015). Click here to view the article. 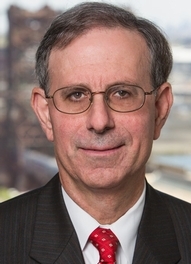 Bruce D. Greenberg was quoted in an article in the Philadelphia Inquirer, "N.J. high court might choose to resolve affordable-housing dispute" (December 28, 2014). Click here to view the article. Bruce D. Greenberg was quoted in an article on Law360.com, "NJ High Court Takes On Arbitration, Atty Conduct In 2014" (December 22, 2014). Click here to view this article. Bruce D. Greenberg was a presenter at the American Bar Association's 18th Annual National Institute on Class Actions, “Who Needs The Second City? : Class Certification from A(ykroyd) to Lovit(Z): A Three-Act Play." Bruce D. Greenberg was a speaker at Morris County Bar Association's, “New Jersey Appellate Practice: Tips From the Bench and Bar." Other panelists included Supreme Court Justice Anne Patterson, Appellate Division Judge Jack Sabatino, and retired Appellate Division Judges Edwin Stern and Francine Axelrad. Bruce D. Greenberg was a speaker at NJSBA's “Hot Topics in Class Actions." Bruce D. Greenberg spoke at the “Mass Tort Litigation Conference with Judge Marina Corodemus (Ret. ),” HarrisMartin, April 4, 2014. Bruce D. Greenberg was a panelist at a Morris County Bar Association seminar entitled "Building a Trial Record and Arguing it on Appeal," on September 16, 2013. Other panelists included Supreme Court Justice Anne Patterson, Appellate Division Judge Jack Sabatino, and retired Appellate Division Judges Edwin Stern and Francine Axelrad. Bruce D. Greenberg spoke on "Significant Developments in Class Actions," New Jersey ICLE, June 24, 2009 (webinar). Bruce D. Greenberg was reappointed as co-Chair of the New Jersey State Bar Association's Class Actions Committee. He has served as co-Chair since 2008. Mr. Greenberg succeeded Allyn Z. Lite, who served as co-Chair for four years. Bruce D. Greenberg spoke on "Hot Topics in Class Action Litigation," New Jersey State Bar Association, May 17, 2007. Bruce D. Greenberg was quoted in the New Jersey Law Journal regarding his victory in the Supreme Court of New Jersey case of Walker v. Giuffre. Bruce D. Greenberg was quoted in the Newark Star-Ledger article about Bosland v. Warnock Dodge, Inc., a New Jersey Supreme Court decision that rejected an attempt to reduce protections for consumers under the New Jersey Consumer Fraud Act. Mr. Greenberg had submitted a friend of the court brief in the case on behalf of Consumers League of New Jersey, whose reasoning was adopted by the Supreme Court in its unanimous opinion. Bruce D. Greenberg was quoted in the New Jersey Law Journal regarding Chin v. DaimlerChrysler Corp., in which plaintiffs' attorneys' efforts had been the catalyst for relief worth over $54 million to purchasers and lessees of Chrysler vehicles. Bruce D. Greenberg was quoted in the New Jersey Law Journal about the mechanics of the Judicial Panel on Multidistrict Litigation. The article focused on the Pet Food Products Liability Litigation, in which Lite DePalma Greenberg filed more cases than any other firm in the nation. Bruce D. Greenberg was quoted in an article in the National Law Journal about the use of confidential witnesses in class action securities cases. A similar version of that article appeared in the New Jersey Law Journal as well. Bruce D. Greenberg was quoted in the New Jersey Lawyer newspaper on the subject of the impact of the Class Action Fairness Act on New Jersey class action cases. Bruce D. Greenberg presented a seminar for the Insurance Society of Philadelphia entitled "Class Actions in New Jersey Courts." The seminar was approved for continuing legal education credit in Pennsylvania. Bruce D. Greenberg was a featured speaker at the New Jersey Association of Justice's Meadowlands Seminar. His topic was "Consumer Class Action Caselaw Updates." Candidates for admission to the New Jersey Bar find that their lives are an open book to the Supreme Court of New Jersey Committee on Character. They can tell that from the Character and Fitness Questionnaire ("CFQ") that all candidates must complete. The CFQ asks for detailed information about everything from addresses to education to employment to driving history, and much, much more. CAN GOVERNMENT AGENCIES OBJECT TO CLASS ACTION SETTLEMENTS? The so-called Class Action Fairness Act of 2005 ("so-called" since it is heavily weighted in favor of class action defendants, though that's a subject for another post), known as CAFA, requires that when a settlement of a class action is proposed, defendants must give notice of that settlement to "appropriate state and federal officials." 28 U.S.C. §1715. In general, the "appropriate" officials are those who have "regulatory or supervisory responsibility with respect to the defendant." Non-lawyers don't always believe that there are Rules of Professional Conduct by which attorneys must abide. One of those Rules is RPC 3.2, which states that "[a] lawyer … shall treat with courtesy and consideration all persons involved in the legal process." Recently, in a case where the facts are truly unbelievable, though undisputed, the Supreme Court of New Jersey reprimanded an attorney who had egregiously violated that rule in dealing with the Office of Attorney Ethics ("OAE"). Footnotes are a subject about which there are differing and, in some instances, surprisingly strong views. A militant anti-footnote jurist was Justice Robert Clifford of the Supreme Court of New Jersey, who sought to abolish footnotes from the Court's opinions. He once wrote (quoting John Barrymore) that having to read footnotes was "like having to run downstairs to answer the doorbell during the first night of the honeymoon." In re Opinion 662 of the Advisory Committee on Professional Ethics, 133 N.J. 22, 32 (1993) (Clifford, J., concurring). When the pop group Chicago sang "Does anybody really care about time?" their response was "If so, I can't imagine why." As lawyers, we must care about time. There are deadlines for everything. And while some deadlines can be adjusted, either on consent of an opposing party or with the approval of a court, others cannot be changed, or can be altered only on certain conditions. We must know which deadlines fall into which categories. In 2015, my colleague Kyle A. Shamberg wrote this post about the Third Circuit Court of Appeals's doctrine of "ascertainability." That doctrine prevents the certification of a class unless all members of that class can be precisely identified. In consumer cases, involving purchases such as aspirin or weight-loss pills, where consumers do not register their purchases, it is often impossible to identify all the purchasers. The Third Circuit's approach mistakenly blocks class certification in such cases, meaning (as a practical matter) that no one can recover for a defendant seller's wrongdoing. Sometimes, parties who are going into the appellate process would love to skip the Appellate Division and go right to the Supreme Court. There's not "an app for that," but there are two Court Rules, Rule 2:12-1 and 2:12-2, that offer ways to leapfrog the Appellate Division and get to the Supreme Court. When New Jersey's Appellate Division issues an opinion, it is designated as either "published" or "unpublished." Under Rule 1:36-2(a), "[o]pinions of the Appellate Division shall be published only upon the direction of the panel issuing the opinion." Parties who lose at the trial level take comfort in knowing that they can go to a higher court for review. But not all appellate review is created equal. Both the party who appeals (the "appellant") and the party who opposes the appeal (in New Jersey state court, the "respondent," and in federal court, the "appellee") need to know what level of review is implicated by any particular appeal. We often hear the phrase "caveat emptor," which means "let the buyer beware." But New Jersey courts at all levels, including the Supreme Court, have said that caveat emptor "no longer prevails in New Jersey." As far back as the 1960's, beginning with cases involving the sale of automobiles and real property, our Supreme Court began to repudiate caveat emptor. That trend continued in succeeding decades. Thus, the time is long past when a seller who commits a consumer fraud can hide behind caveat emptor. Complex litigation is often fraught with legalese. Frequently, complex litigation seems more concerned with technicalities than what is fair and reasonable. But there is a refreshing body of law that expresses itself in plain English and focuses on what is right and just. That body of law is known as the "maxims of equity." It's all well and good to win your case, but most of the time you still have to pay your attorneys. Our courts follow what is known as the "American Rule." Under that rule, a party, even one who wins the case, generally cannot shift its attorneys' fees to the other side. The reason for this is the policy decision that adopting a "loser pays" regime would deter all but the wealthy from having access to the courts, since even a party with a valid claim might be afraid to sue given the risk, no matter how small, of having to pay the other side's attorneys' fees. When a judge makes a bad decision, whether on a motion or at trial, a disappointed party's first reaction is "Appeal at once!" But there are special rules about how quickly an appeal can be brought, and it's important to know when an immediate appeal is or is not allowed. The rules about appealability differ between state and federal courts.